Are Roth IRA contribution withdrawals tax free? What about early withdrawal penalties or excess contributions? And what about other types of withdrawals? These are all good questions, and it's essential to know the answers before you make a withdrawal. If you meet these two conditions, and you haven't performed a Roth IRA conversion in the past 5 years, then in all likelihood, you can withdraw funds from your Roth IRA without taxes or penalties. If you haven't met these conditions, it's possible you could owe income taxes and/or a 10% early withdrawal penalty. Since annual contributions are made with after-tax dollars, Roth IRA contribution withdrawals are always tax-free and penalty-free. Regardless of your age or the age of your account, withdrawing the original contributions you made is NOT a taxable event. For example, let's say you're 26 years old. You open a Roth IRA and deposit $4,000. 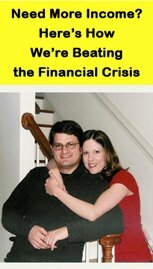 After a couple of years, your account is worth $6,000 and due to an emergency, you decide you need the $4,000 back. Under IRS rules, you can withdraw the $4,000 contribution you made two years earlier tax-free and penalty-free, because Roth IRA contribution withdrawals are not subject to taxation. However, if you decided to withdraw any of the remaining funds in your account (the $2,000 investment gain), then any additional amount you withdraw is subject to income taxes and a 10% early withdrawal penalty. Roth IRA contribution withdrawals of excess contributions are also tax-free and penalty-free as long as you remove the excess contribution from your account before you file your tax return. For instance, let's say you're married, 40 years old, and you have a combined income of $89,000. Under IRS rules, you can make a maximum annual contribution of $5,000. Anything you contribute above $5,000 is considered an excess contribution. You decide that it's not quite in your budget to make the full annual contribution of $5,000, but $300 a month is workable. So you set up an automatic withdrawal of $300 a month from your bank account to Roth IRA. Throughout the first part of the year, the automatic withdrawals work well. Then in November, you inherit $10,000 from one of your relatives. Prudent as you are, you decide that you can make that $5,000 contribution after all, so you deposit $1,700 into your account. Along with the $3,300 you had already contributed for the year (11 months * $300), that makes $5,000. Congratulations, you maxed out your annual contribution! Only one problem. You forgot to discontinue the automatic $300 deposit! As a result, you automatically deposit an additional $300 in December, leaving you with an annual contribution total of $5,300 for the year. Since you made an excess contribution, you can remove it without taxes or penalties as long as you do so before filing your tax return. 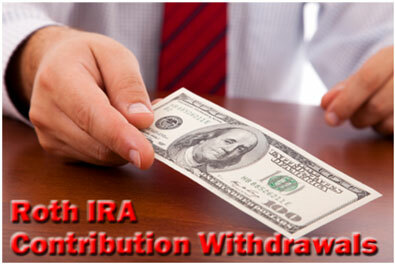 Such Roth IRA contribution withdrawals are non-taxable, just like withdrawing your annual contribution principal. So what happens if you don't remove the excess contribution before you file your tax return? If you fail to remove your excess contribution before filing your taxes, then there's a 6% annual tax on the amount of the excess contribution until you correct it. Does that make sense? Along with withdrawing your principal contributions, this is one of the only early Roth IRA contribution withdrawals NOT subject to taxation - assuming you correct it before you file your taxes! Unfortunately, other early Roth IRA contribution withdrawals are subject to income taxes and a 10% early withdrawal penalty. If you withdraw investment gains, rollover funds, or conversion funds prior to meeting the 5 year rule and prior to reaching age 59 ½, then those withdrawals are more than likely subject to the early withdrawal penalty and income taxes. However, exceptions do exist, such as using funds for qualified expenses for the purchase of a home or qualified education expenses, so make sure you consult with a financial professional before you make a decision.